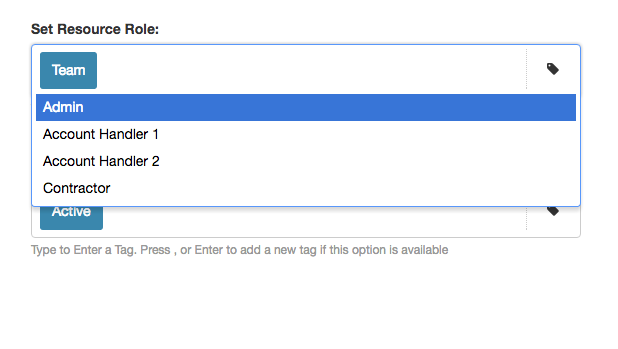 Outside roles you can also set resources as Project Managers if you have that extension enabled. This is a standard active resource. An archived resource is removed from the scheduler and blocks the user from logging in to the system. You can still generate reports and analytics on Archived Resources. This prevents resources with this status appearing in the scheduler. This is useful if you want to add a CEO or other resources in the management or finance teams who want to use the tool but don’t need to be available for booking. You can park a resource which means they will not be able to access the system, and their data will be temporarily removed from the platform. No data will actually be lost, so you can add them back at a later date. Parked resources do not count towards your resource limits.